Come on in and meet some of our new folks here at the Durham store. Our newest arrival is Jim Denise. 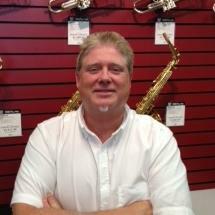 Jim has been running music stores in our area for 3 decades come in and say hello. We also have some mad crazy deals on guitars. Come on in and take a look.